FREE Flash Gallery | Create slideshow online! 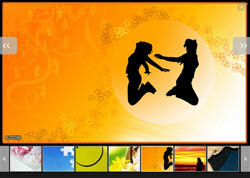 Flash Gallery is a free application that allows you to create a slideshow on your website easy and fast. You won't need any programming skills to install or use it. Just embed it into your website and script will automatically form a slideshow from a specified folder.